Fans of Mary Poppins will love this whimsical tale of a boarding school for children of very busy parents, where an extraordinary headmistress teaches them life lessons about courage, adventure, friendship ... and the importance of birthday cake. Nestled inside a lighthouse, Great Rapscott School for the Daughters of Busy Parents takes its motto from Amelia Earhart: Adventure is worthwhile in itself. Headmistress Ms. Rapscott couldn't agree more, but her students, who are shipped to the school in boxes, could use a little convincing. Still, despite their initial reluctance, the students are soon soaring through the sky and getting lost on purpose. In addition to learning what birthday cakes are and how best to approach a bumbershoot tree, the students also manage to learn a little something about strength and bravery. 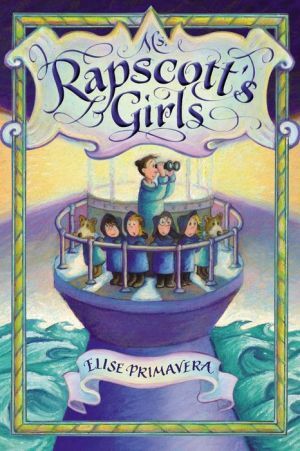 Bestselling author Elise Primavera has created an irresistible, richly illustrated story about finding your way.